We all want to improve the way we live. In fact, that is the most common reason we exercise. To live healthier and longer. We want to be able to climb a set of stairs without getting winded, or to change a lightbulb without our shoulders aching. Better yet, we want to not only be up for the challenges of life but to supersede those challenges. Functional Lifestyle Training addresses these objectives. Build Overall Strength: This training focuses on strengthening the muscles we use in everyday life, whether at home, work or in sports. The primary goal of functional fitness is overall body strength, with an emphasis on core stability. It serves to prepare the body to perform in multiple situations. Prevents Injury: Because functional training makes the whole body stronger and better centered and balanced, it can also help to prevent injury. By strengthening the deeper intrinsic muscles as well as the larger exterior muscles, we can build strength from the inside out. It helps to make us more aware of our bodies; thus allowing you move with intention. Holistic Approach: Functional lifestyle training takes a holistic approach. We custom design every session after careful client consultations. We evaluate your condition, what you would like to achieve, and generate a customized workout for you. The Fitness Studio ensures goals are realistic and achievable. The purpose is to succeed, and if so desired, exceed. And, while these workouts are perfect for older individuals, they will also serve to make even the seasoned athletic better. Safe and Effective: All workouts are guaranteed safe and effective, with the attention on you. Our trainers vow to give you their undivided attention for the entire session.We always monitor form to prevent injury and provide inspiration to push past doubt and help you to accomplish the day’s goal. Recovering from and injury? New to exercise? Functional training is for you, too! 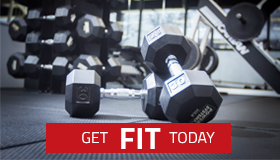 Contact The Fitness Studio for more information about Functional Lifestyle Training. Learn how to become more agile, centered, balanced and stronger. Learn how to live longer and healthier.